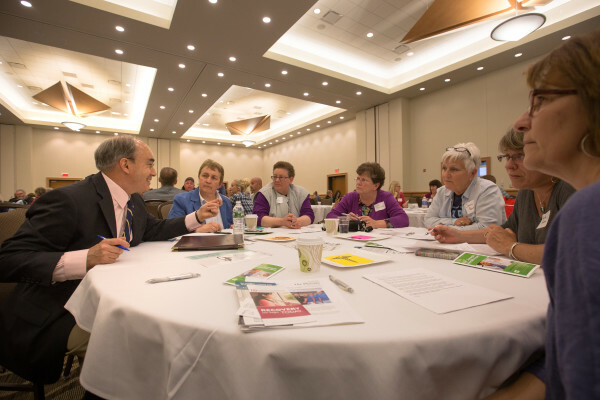 U.S. Rep. Bruce Poliquin participates in a group discussion during the One Life Project at the Cross Insurance Center in Bangor on Wednesday. More than 300 people gather for the One Life Project at the Cross Insurance Center in Bangor on Wednesday. 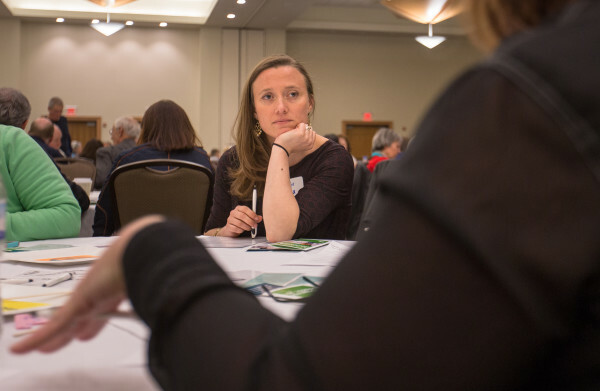 Bangor Daily News writer and Maine Focus editor Erin Rhoda listens to people discuss the opiate epidemic during the One Life Project at the Cross Insurance Center in Bangor on Wednesday. 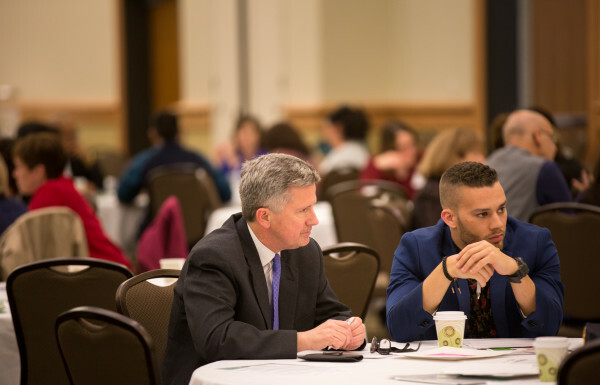 Bangor Mayor Sean Faircloth participates in a discussion on the opiate epidemic during the One Life Project at the Cross Insurance Center in Bangor on Wednesday. 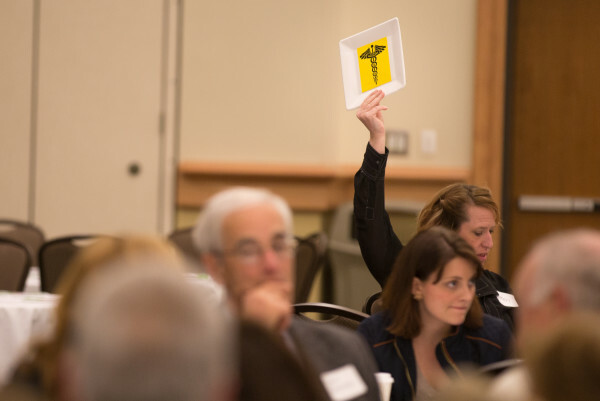 A woman raises a placard to summon a medical professional to answer questions about the opiate epidemic during the One Life Project at the Cross Insurance Center in Bangor on Wednesday. 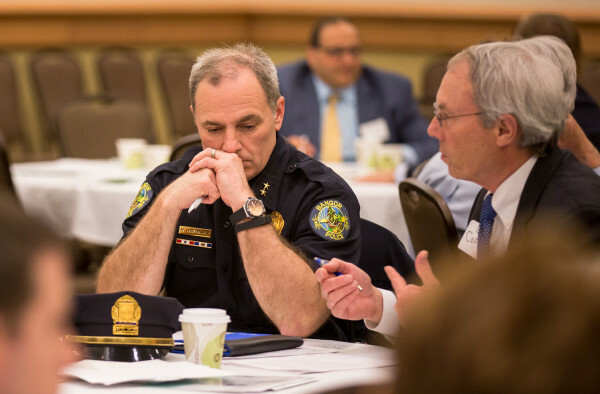 Bangor Police Chief Mark Hathaway listens to The Acadia Hospital President Dan Coffey discuss the opiate epidemic during the One Life Project at the Cross Insurance Center in Bangor on Wednesday. U.S. House candidate Emily Cain discusses the opiate epidemic during the One Life Project at the Cross Insurance Center in Bangor on Wednesday. Brewer City Councilor Jerry Goss discuss the opiate epidemic during the One Life Project at the Cross Insurance Center in Bangor on Wednesday. 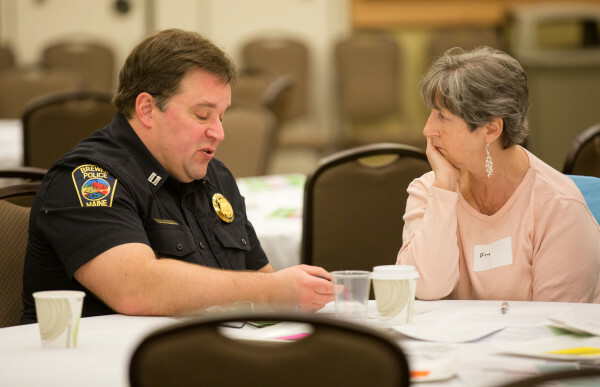 Officer Peter Rancourt of the Brewer Police Department speaks to a participant in the One Life Project at the Cross Insurance Center in Bangor on Wednesday. Anne Jordan, former commissioner of public safety, discusses the opiate epidemic during the One Life Project at the Cross Insurance Center in Bangor on Wednesday. 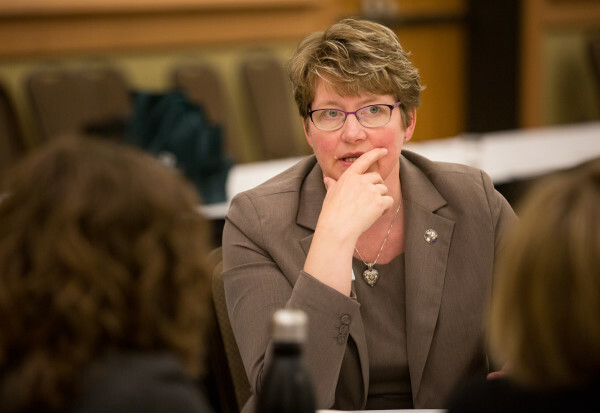 Brewer Mayor Beverly Uhlenhake discusses the opiate epidemic during the One Life Project at the Cross Insurance Center in Bangor on Wednesday. en. 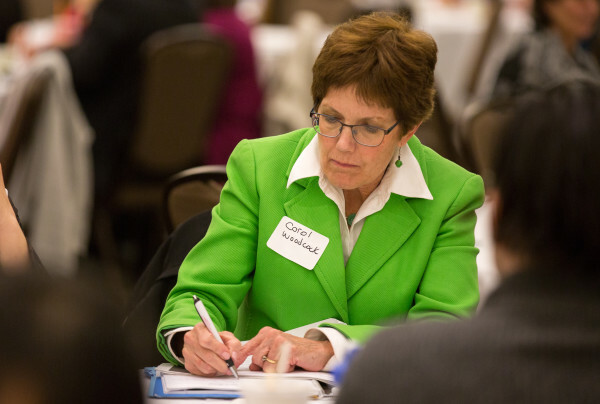 Susan Collins' representative Carol Woodcock takes notes on discussion of the opiate epidemic during the One Life Project at the Cross Insurance Center in Bangor on Wednesday. State Sen. Geoffrey Gratwick speaks during the One Life Project at the Cross Insurance Center in Bangor on Wednesday. 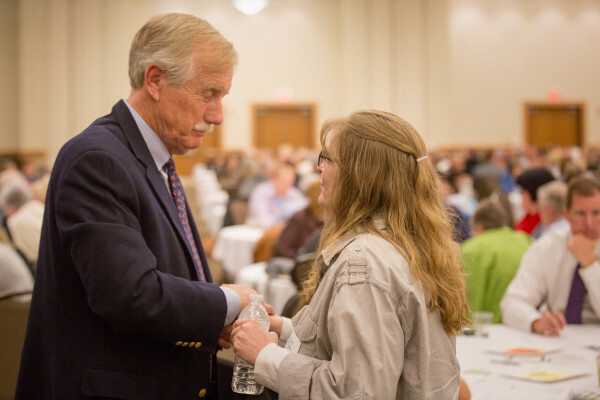 U.S. Sen. Angus King speaks during the One Life Project at the Cross Insurance Center in Bangor on Wednesday. 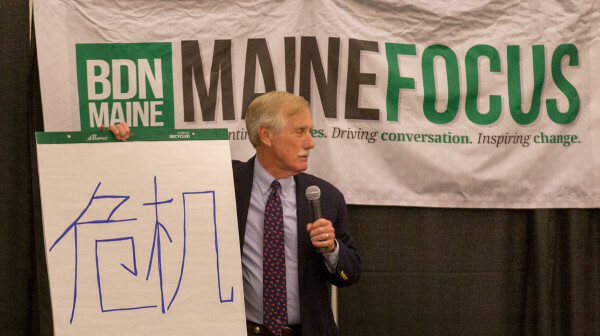 U.S. Sen. Angus King speaks about the Chinese character for crisis, and also opportunity, at the One Life Project on Wednesday night at the Cross Insurance Center in Bangor. 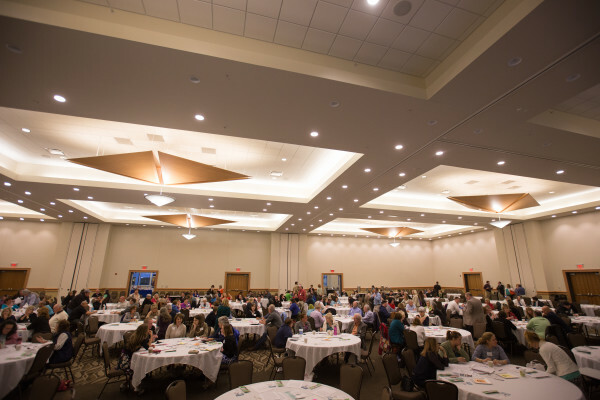 BANGOR, Maine — More than 400 people from all walks of life gathered at the Cross Insurance Center on Wednesday for a brainstorming session about a problem that has been claiming a rapidly growing number of Maine lives: opiate addiction. The One Life Project was inspired by Garrett Brown, a young man from the state’s capital, who let Erin Rhoda, editor of Bangor Daily News’ Maine Focus, chronicle his life for 2½ years. He died in November 2015 after overdosing on heroin. Brown’s absence was felt during Wednesday’s session. His mother, Traci Brown, was on hand but chose not to speak. “If there’s one thing we know, it’s that each person here has ideas that can help save a life, so think of what we could all do together,” she said. 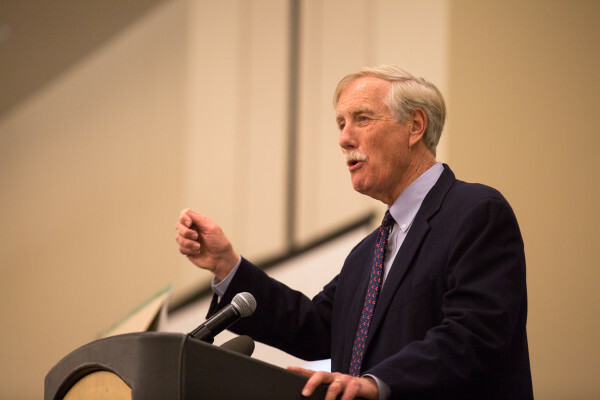 Among those who participated was U.S. Sen. Angus King, who, along with U.S. Sen. Susan Collins, was so moved by Rhoda’s story about Brown that they shared it on the Senate floor. “After finishing the story, I found it hard to talk and the reason is that the problem we’re all here to talk about tonight is easily translatable as a statistic,” he said. “ … And it’s so easy to just go from statistics, to get stuck in the numbers, and forget that we’re talking about people. Real people. … To say this is an epidemic is an understatement. For U.S. Rep. Bruce Poliquin, who also participated, the problem of addiction is personal. A family member has struggled with it. “I had a family member who was lost as a result of addiction,” he said. “I get it. I know what it’s like to plead with [emergency room] physicians, social workers, law enforcement — plead with them to help,” often with embarrassment and to no avail. He urged others affected by addiction to intervene early and not give up. He admitted that wasn’t easy. “Our family fumbled around this, we did the best that we could, but today we know more about addiction. We know more about treating addiction and we need to hold our loved ones accountable to being healthy once they have left detox,” he said. “This is good to do [but] sometimes we love them so much that we don’t want them to have any more pain, but a great way to do that is to help them be healthy themselves and there are a lot of things we can do at the federal level, the state level and the local level to make that happen,” he said. 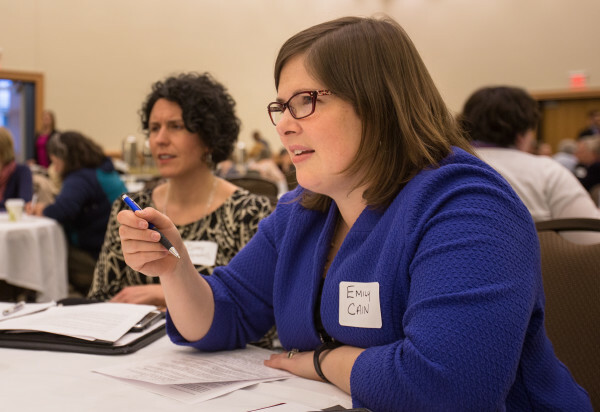 Emily Cain, who is running for Poliquin’s seat in November, also participated. “Tonight I sat with the mother of an addict and I sat with the brother of an addict who overdosed about two years ago and their stories really show both the power of things we are already doing and are working. “We need to seek out more of those stories because I think that’s really where we find the solutions,” she said, adding that she came away with hope. 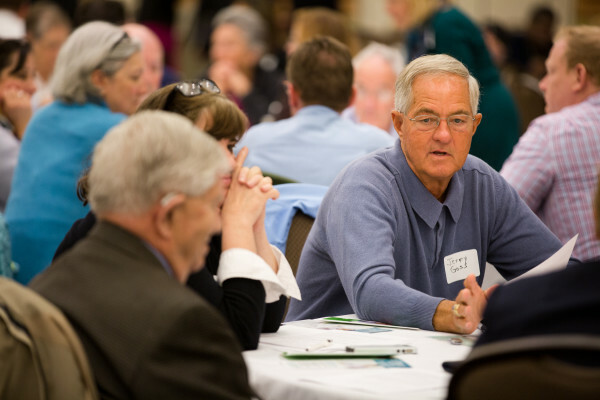 Sen. Geoff Gratwick, who is a doctor, said the group at his table came up with three ideas for curbing addiction, namely expand MaineCare — which drew applause from the crowd — as well as impose stricter limits on the prescription of narcotics and, the most difficult, get a better understanding of addiction. From his perspective as a physician, Gratwick pointed out that medical professionals prescribe narcotics as a way to help patients who are in pain. — How would you change attitudes toward addiction? 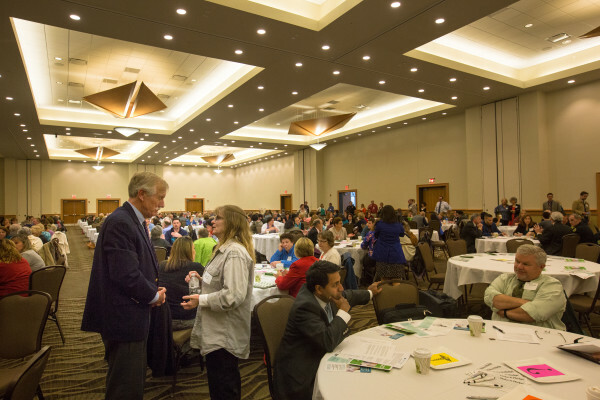 — How would you get more people into all types of addiction treatment? 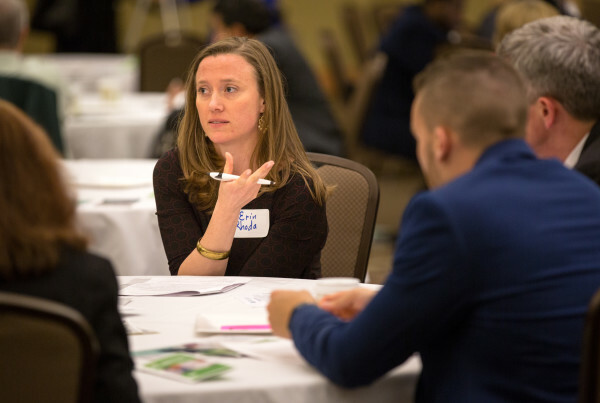 — How would you improve access to methadone and counseling in particular? — How can the criminal justice system help stop the cycle of drug addiction and arrest? 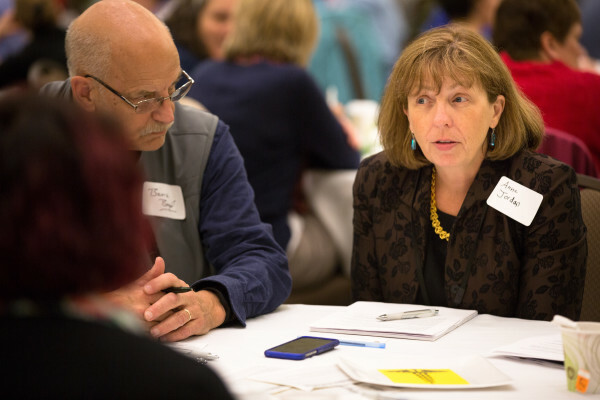 — How can Maine help young people before they develop an addiction? The responses will be shared at a later time. 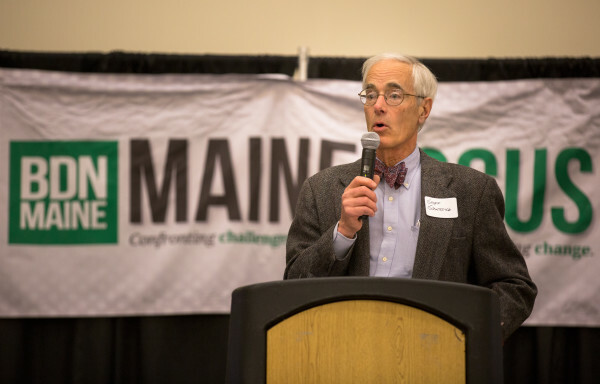 Despite the public attention brought to the addiction problem faced by Maine and the rest of the nation, the number of those affected continues to be high. Last year, Maine set another grim record for drug overdose deaths. Attorney General Janet Mills said in March. Men accounted for two-thirds of last year’s overdose deaths, Mills said. The ages of those who died ranged from 18 to 89, though most deaths were of those under the age of 60, state statistics indicated. The average age of those who overdosed was 42, or one year younger that the average age of a Maine resident.